Home How to Steam Won’t Open: How to Fix and Launch the Client? 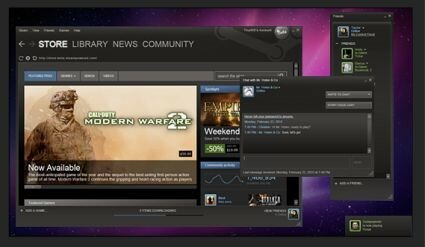 Steam has been one of the most famous gaming clients with a huge count of new users joining in the community every day. Players can collaborate to team up and co-op in various games or save up their solo progress in others. But it can be quite problematic for a gamer if the issue Steam won’t open come up. The Steam client stops responding and they cannot launch it to enjoy their most beloved games. Recently, this issue has turned more common. 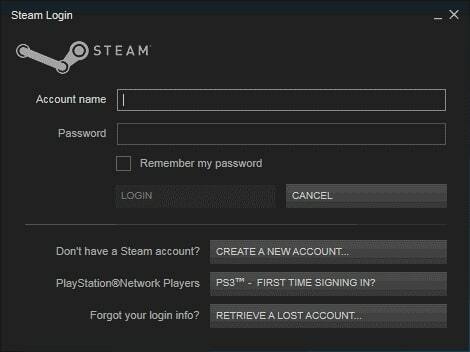 So if you are also suffering from the Steam won’t open issue, we have come up with a few solutions that you can try to resolve the problem and launch the Steam client on your computer. At times Steam processes may keep running in the machine background task list even though users may have shut it down. The process may have been incomplete. It may be a reason to why Steam won’t open the next time you try to launch it because Windows refuses the client launch. The main reason behind this is the OS considers it to be the same process already running in the background. Users must follow a couple of steps to launch Steam client in such conditions. They need to end all of the running Steam tasks from the Task Manager of Windows before they try to re-launch it. 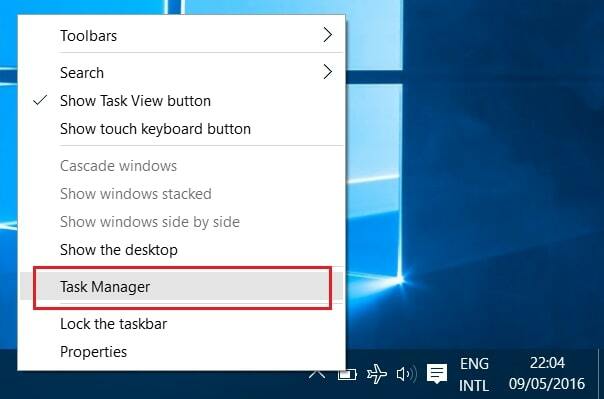 Move the cursor to the empty space in the taskbar and right click on it to find the option to start Task Manager. 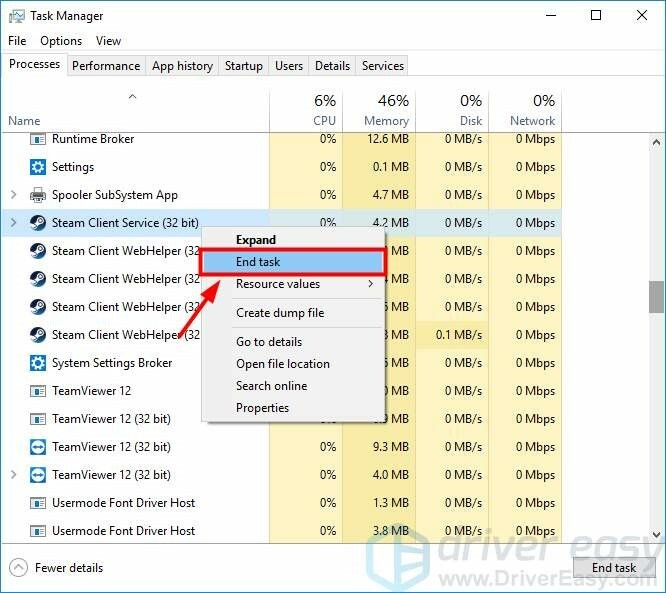 Click on it to run task manager for windows or you can use the shortcut alternatively. Press the CTRL+SHIFT+ESC button altogether and you can have it run automatically. Close all running tasks related to Steam by right clicking on a particular task to find the option to end the task or process. Try to re-launch the application again to check if it works. 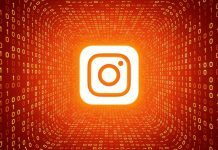 It is one way that can technically solve most of the problems that anyone may face related to processes and programs of the operating system. Same is applicable from issues of the Steam client as well. 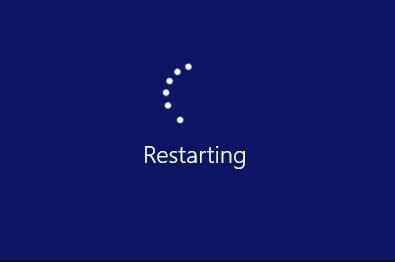 If your Steam won’t open, try restarting your computer. This will obliterate any or all cache deposited in your system that may be causing the interference with the Steam client. If it is not great a technical fault, it will most probably work. Check if you can access the client this time. Turn your computer off followed by the router and the modem. 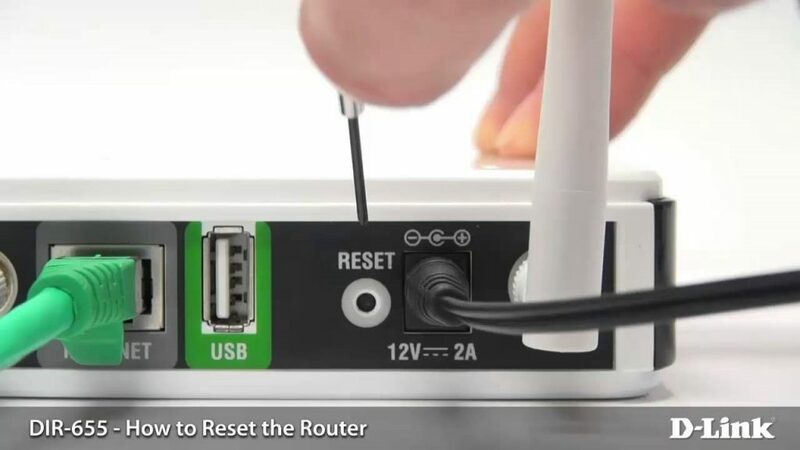 Remove the power plugs from the network devices and disconnect the power source. Put the power cables back into the power socket and power it up. Turn on the switch of the router and the modem and hold patience until they are on with connectivity. Turn on the computer and connect it to the network. Launch the client to confirm if the Steam won’t open issue has been taken care of or not. If it was due to the glitches of the connectivity that you were not able to launch the client, then you will be able to launch it this time. If none of the above solutions work for you, you can try to remove the application. Reinstall it back to your computer system. That can be a way to fix the issues for which Steam won’t open in the first place. Resolve any/all compatibility issues for the client and the machine. 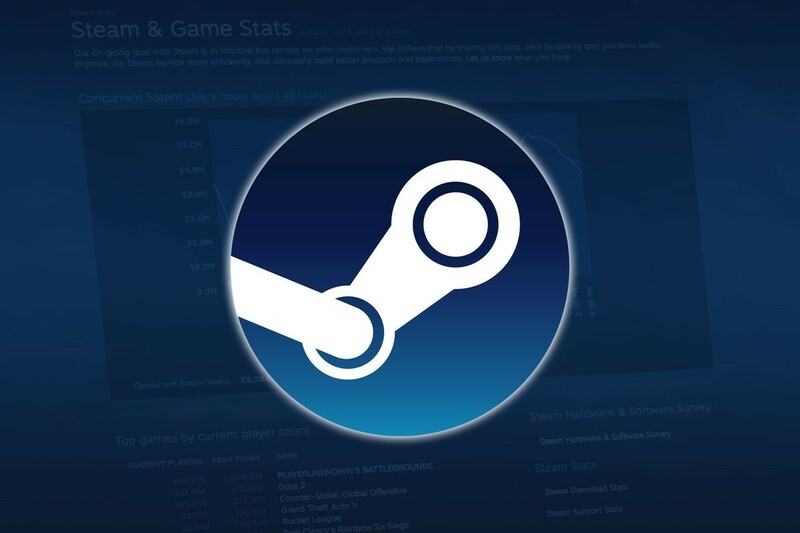 Users need to follow a few steps to reinstall the Steam client on their device. 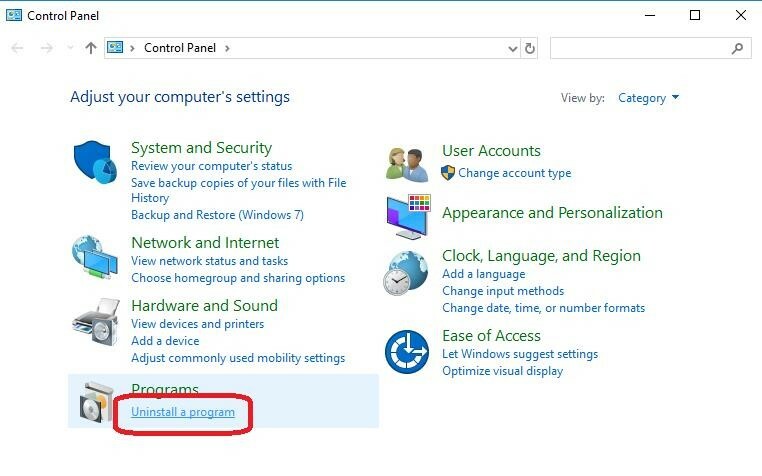 Go to the control panel section of Windows and uninstall the program by selecting it from the ‘Programs’ tab. You may need to delete additional files as well. Visit the official website for the Steam client and search the option to download a new installer for Steam client. Once the download is complete, click on it to open the file and launch the installer. You will be guided with instructions from the setup wizard to help you get done with the reinstallation process for the Steam client. Once the installation is complete, try to launch the client and see if the issues have been resolved or not. 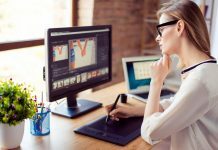 It is necessary to take note that users must consider this option only if they are trying to reinstall the client to the location it was originally installed for the first time. Otherwise, all unsaved game progress and user data can be lost in a moment. Click on the Windows button located in the lower left corner of your display, also called the Start button. Type in ‘Update’. When the search results come up, look for the option with the heading ‘Check for updates’. It may even be tagged as ‘Windows Update’. 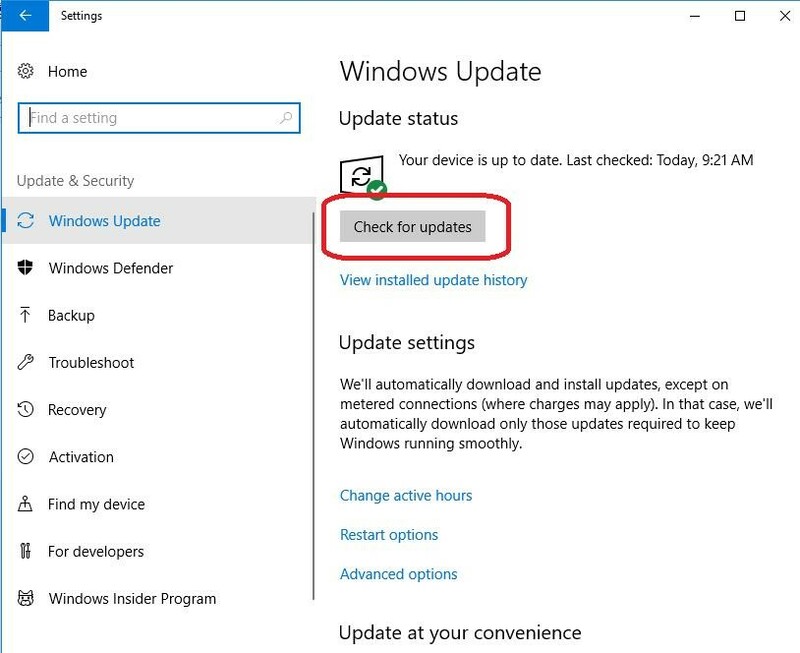 Click on the option and wait while the OS checks for any available update on the web. 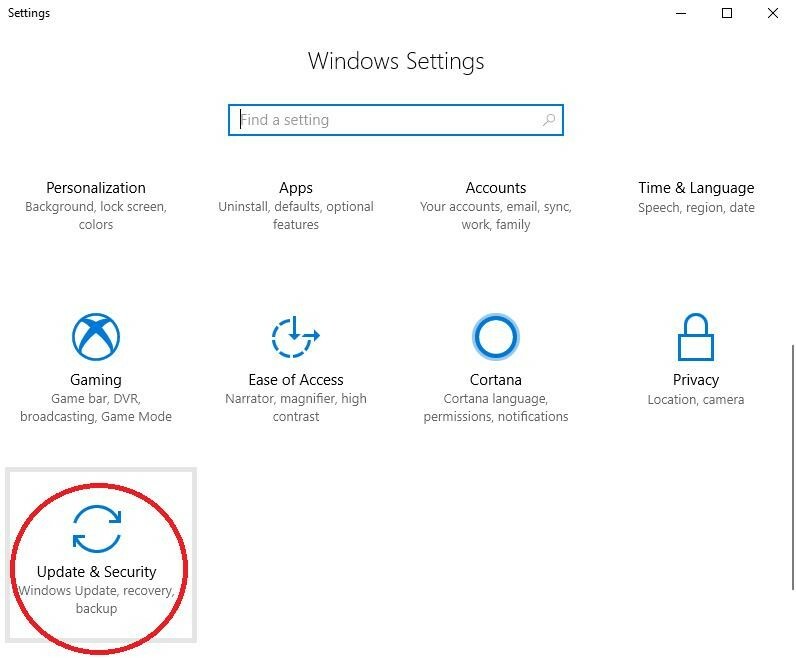 You can find this option in the left section of the Windows Update screen. The process may run a background check on your machine and may come up with a list of necessary updates that your system may be missing. Download the files and complete the installation process to update the system drivers. Try to launch the Steam client to check if the issue has been resolved. 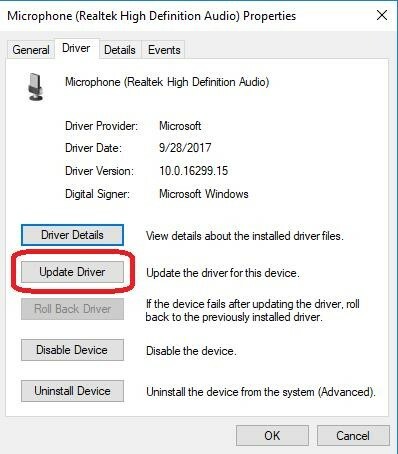 Updating particular sets of drivers may require more knowledge and skills in computer usage. At times, the antivirus may interfere with the Steam client and cause it to not open. Users may try to disable the antivirus temporarily and try to re-launch the client. If you find that the issue is resolved and you can launch steam now. You need to contact the respective vendor of antivirus software and seek what they have for advice. You may even need to look for another alternative solution if this is the problem. 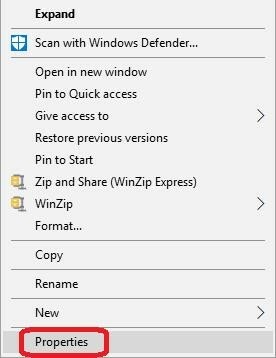 Launch the Start Button and tap on the icon of File Explorer. You can also type in ‘File Explorer’ in the search bar of the Start menu and tap on the suitable search result. 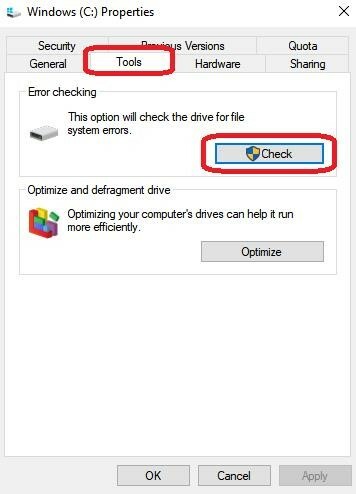 Scroll to the option of This PC or whatever you have named your computer as and click it to open the available drive options. 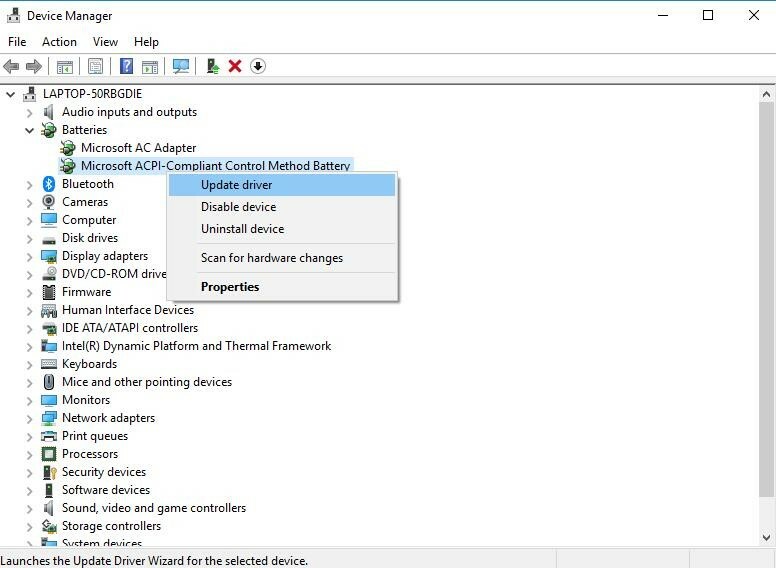 Choose the drive that required to be fixed and right click on it. You will find the ‘Properties’ option in the drop-down menu that comes out and click on it. Click on the ‘Tools’ tab on the pop-up screen and click on the button with ‘Check’ heading. 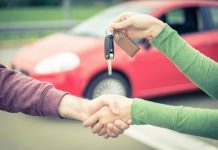 After that, choose on the option to ‘Scan Drive’ and find if there are any errors in the drive. Once the scan is done and any issue has been solved, try to launch the Steam client. These were some of the best solutions that you could look into if you were having trouble launching your Steam client. If the problem still persists, search the web for more solutions.